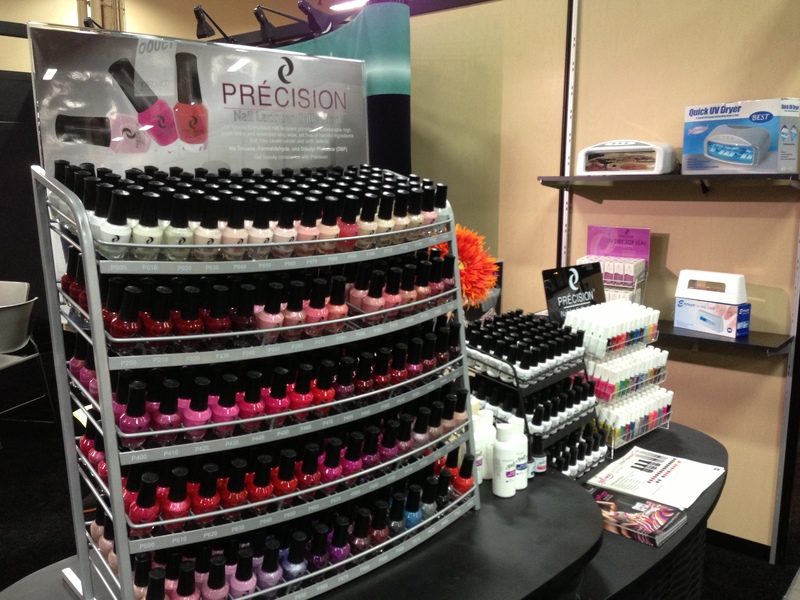 COSMOPROF Las Vegas 2013 Recap – Introducing New Collections & More! 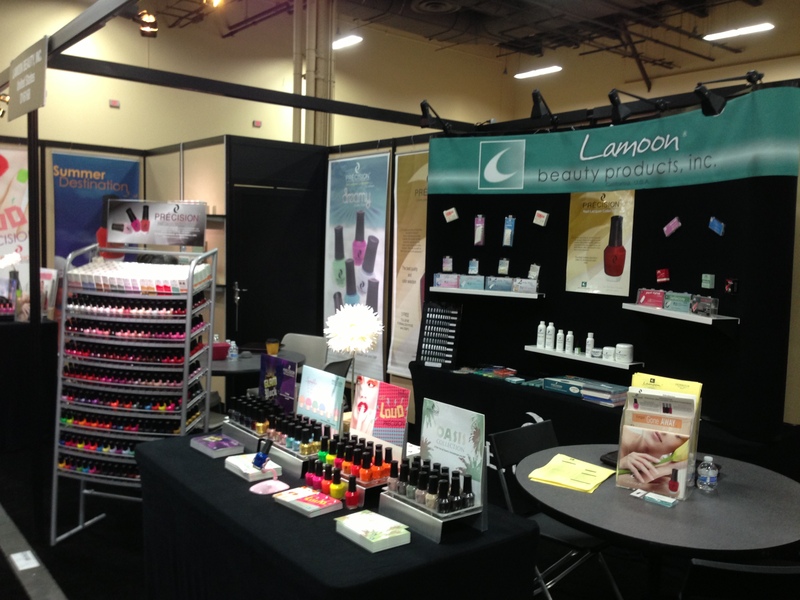 Last weekend we attended the world-renowned Cosmoprof in Las Vegas at the Mandalay Bay Convention Center. We’ve been attending Cosmoprof for years, and it’s always exciting because we’re so eager to see new and familiar faces. 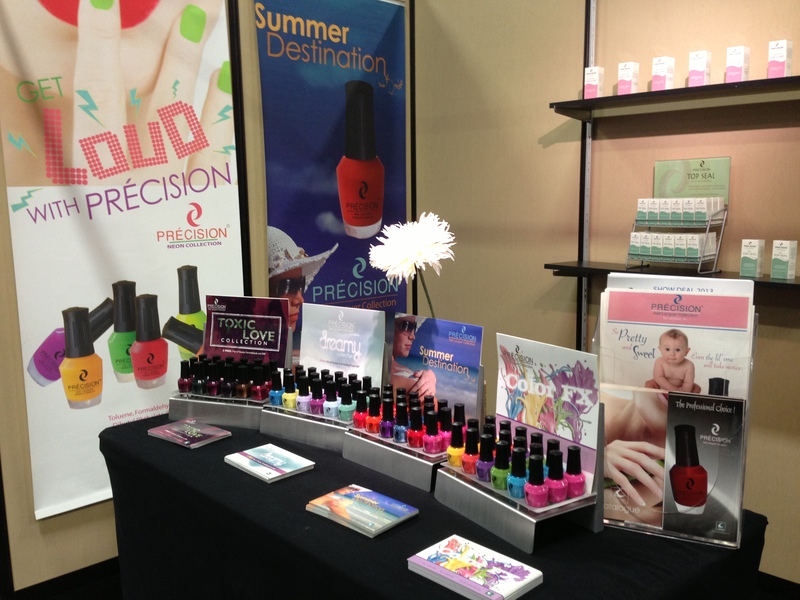 During this event we were fortunate enough to meet with so many nail and beauty bloggers. It was a pleasure meeting with so many of you and thank you for stopping by our booth. We’d love to give a shout out to Claudia (Chromatic Misadventures), Jeanie and Jamie (Midnight Manicures), Leslie (Work Play Polish), Alison (The Rosy Snail), Krystal (Polish Galore), Shelley (Polar Belle) & Stephanie (Aqua Heart). Please check out their blogs and follow them on their social media pages for nail art, designs & reviews. They do excellent work in contributing to the nail community, each blog is very unique and you’ll always find something new. Very talented and hard-working individuals. We would also like to give a huge shout out to Victoria from Serum No. 5 for sending some of the bloggers mentioned above our way. If you haven’t heard of Serum No. 5, please check it out! You won’t regret it. All her nail polishes are hand-mixed, unique and original. Every month, a charitable donation is made in an amount equal to 20% of the profits of all lacquers sold. 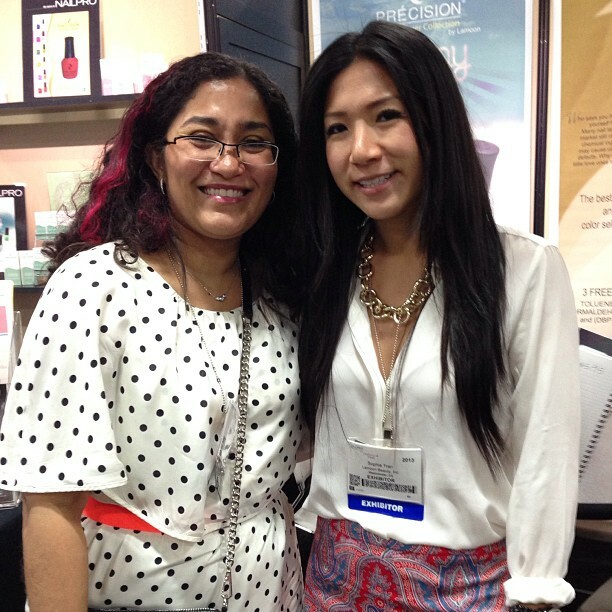 Claudia, founder and blogger of Chromatic Misadventures with Sophia Tran, Chief of Operations of Lamoon Beauty Inc.
← The Oasis Collection – Product Reviews & More!